Title tag, meta descriptions and meta keywords are essential part of a blog. Making sure that you use the best SEO approach towards having a calculated and effective result towards them is vital for a good position in SERPs. Even if Google doesn’t take into account the descriptions and ignores the meta keywords, other search engines still consider it and use this types of meta tags. It is crucial that there is a Title tag in the site but just as important is to not have it duplicate inside your blog. Repeating the same tag in different pages in your site will bring a negative effect on the appearance of your site. 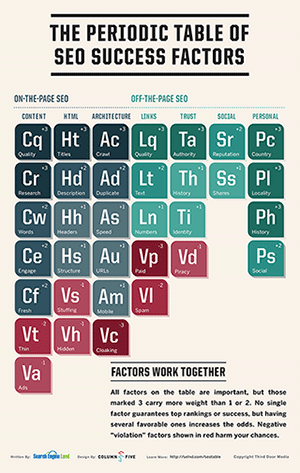 The title brings advantages to the positioning in SERPs of different Search Engine queries. The description usually shows the snippet in the result page and it is used to attract the attention of the visitor. If you are a Squirrly user then things are made to simplify your journey toward the best SEO approach. Implicitly, your title tag is the title of your article which is checked by the Squirrly SEO Live Assistant. That’s why you have the domain field in the right side. Your meta description for each page will be the first part of the article. 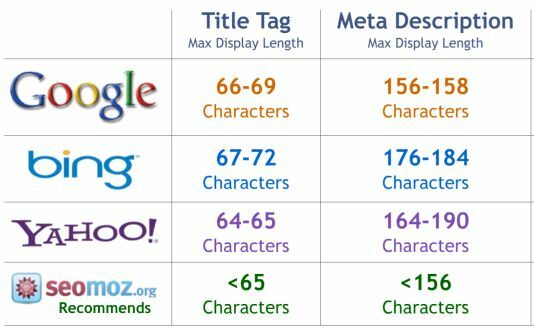 The length is determined by how many characters the specific Search Engine let’s you have. A website reflects your personality, your unique style of working, your decisions and hard work. Hence, the job of designing a website has to be given to a true professional. As a leading professional Website design company in Delhi/NCR, we hire efficient website design professionals to provide the best of services. Today, economical website designing is the prime concern for all customers ranging from small business houses to leading corporations. At Acme, we believe in providing quality services, but at an affordable price. Website Design at Acme Graphix Delhi, involves arranging or creating web pages, which consists of text and images. The completed website is delivered to our end user through a World Wide Web. We utilize different disciplines in the process of website designing, such as corporate identity, graphic design, photography, communication design, interaction design, search engine optimization etc. Acme Graphix prides itself on its 12 year history of web designing and development. Being the makers of websites we understand how SEO and internet marketing have gained importance. Therefore, we bring to our clients a whole package from website making to its promotion right on a platter. Just give us the content and we’ll do everything necessary for your business to make it the best in the market. Survey names LinkedIn chief top-rated CEO . Leading a professional networking site must mean you know your p’s and q’s and have some social grace. 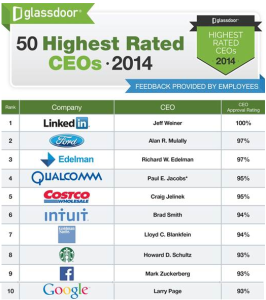 So, it makes sense that LinkedIn CEO Jeff Weiner is beloved by his employees. In fact, Weiner is so well-liked that he has been crowned the highest-rated CEO for 2014.The honors come via hundreds of thousands of employee surveys across all industries submitted to company-review site Glassdoor. Every year, the site tallies up the votes and publishes the rankings of the 50 highest-rated CEOs in the US for companies with at least 1,000 employees (see full list below).This year, Weiner received a “perfect 100 percent approval rating,” according to Glassdoor. Last year’s winner, Facebook CEO Mark Zuckerberg, fell several spots to No. 9 overall — down from a 99 percent approval rating to 93 percent. Weiner took the helm of LinkedIn in 2009, after being Yahoo’s Network Division executive vice president. He has since seen the professional networking site go public and swell its member base to 259 million users. Over the past year, Weiner has focused on new strategies like emphasizing content and mobile apps to attract a wider variety of business users. In December, LinkedIn was also voted the No. 3 best company to work for in the US. “The CEO is what helps spread the culture. He emphasizes culture,” one LinkedIn associate Web developer wrote of Weiner on Glassdoor. “Colleagues are top notch as developers, collaborators, and acquaintances. Leadership is excellent. Perks are amazing,” another LinkedIn employee wrote.Of the Top 50 highest-rated CEOs, 14 come from tech companies, including Google’s Larry Page in 10th place, Salesforce’s Marc Benioff in 12th place, Apple’s Tim Cook in 17th place, Amazon’s Jeff Bezos in 32nd place, and more. This makes tech the top industry represented on the list. Last year, 20 tech CEOs made the list, but a few have dropped off, such as Oracle’s Larry Ellison and Dell’s Michael Dell.This year, a female tech CEO also made the Top 50: Yahoo’s Marissa Mayer squeezed in at No. 49 with a 79 percent approval rating. Keep serving a product page for something that’s no longer available? Redirect users to a similar product instead? Site size matters here, so Cutts’ offered three scenarios for sites ranging from small sites that might sell one-of-a-kind items all the way to massive sites such as Craigslist which has a constant turnover of active “product pages”. Each of these scenarios is a little bit different.